An audience of 200 people came to watch the finest scooters and skaters show off their heart stopping best moves in competition for cash prizes. The winner for Scooter under-15s was Brody Groth with Deon Drage, Talyn Galic, Tyson Carroll and Seth Patterson following. Skate under-15s went to Cam Boden, with Ross Rogan-Green runner up, followed by Bon Liggett, J-Boy Mills and Mylee Leitch. Open Scooter was won by Corey Van Dam, with Sheldon Willan second, Caleb Pratt third and Tyler Jennings and Wade France behind. Open Skate’s winner was Zac Clickers followed by Jayson Turner, Jesse Nelson, Brendan Cross and Bailey Lange. 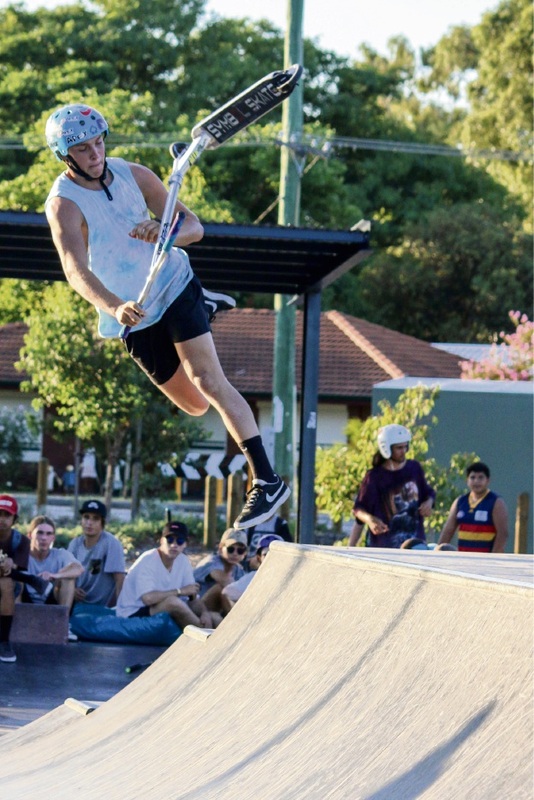 Sheldon Willan performed headspace Armadale’s best trick on a scooter with a nothing front scoot, mini ramp hip, and Jesse Nelson who performed a 360 flip, big three, on his skateboard. Competition winners for Scooter under-15 and Skate under-15 received cash prizes of $250, $150 and $100 for first to third respectively while in the open skate category for ages 15 and above the prizes increased to $500, $350 and $150.